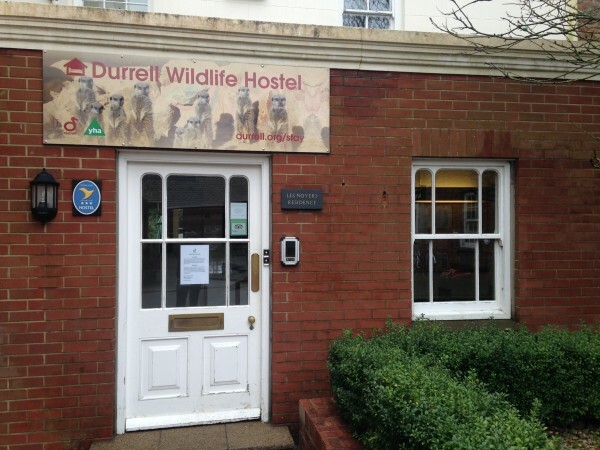 In my previous blog post I told you a bit about Gerald Durrell and the history of the Durrell Wildlife Park and Durrell Wildlife Conservation Trust on Jersey. 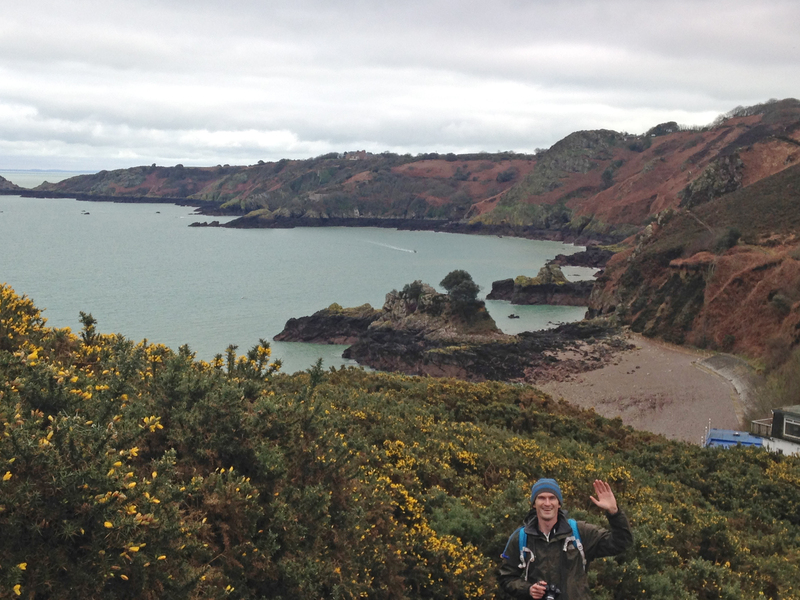 Now I’ve had my weekend trip I can share a *few* (loads) photos and a bit about our trip! As soon as we arrived on the Friday we dropped our bags off and went out to explore the north coast, which is more rugged and wild than the south coast. 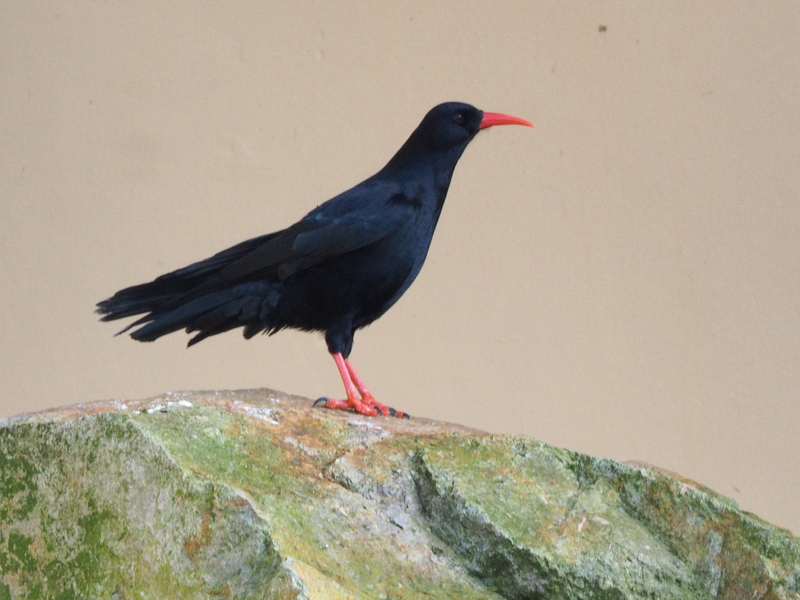 We had hoped we might see some choughs – bit smaller than crows, slightly more elegant shape, with bright ted legs, feet and bill – but we didn’t make it far enough to their nesting grounds (the photo below is from the park not in the wild). The chough pretty much disappeared from Jersey but Durrell, along with some other partners, have been working the last few years on firstly a captive breeding population, and then releasing these birds back into their native habitat. It seems to have worked, and last year they had their first young. 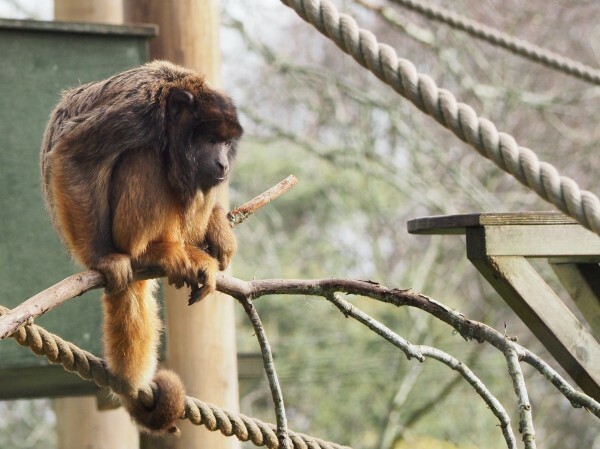 Its great to see Durrell releasing animals back into the wild, and in Jersey too, not just Africa and South America and other far-flung places. We stayed for the weekend at the Durrell Hostel, in the ground of the Wildlife Park and next to the Durrell Conservation Academy. 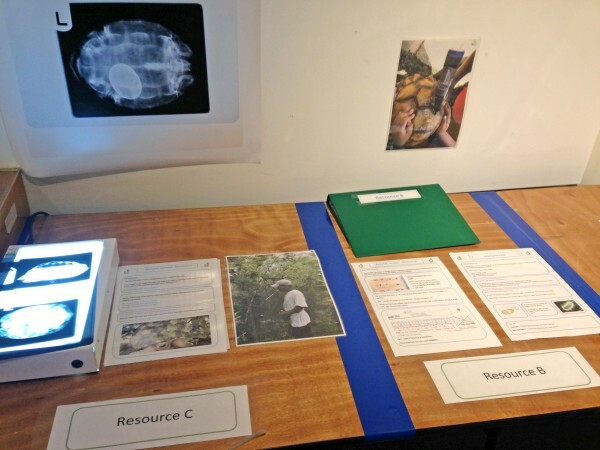 The Academy runs lots of conservation courses, a few are for general interest but mostly they are for people working in conservation already as a way of sharing skills, knowledge and ideas to be used in current, practical conservation all around the world. We didn’t know it but the weekend we were staying there happened to be when 15 students were turning up to start the 3 month DESMAN course, and they would all be staying in the hostel too (we were the only people not doing the course!). Having gone for our coastal walk, we found ourselves a nice local pub to spend a few hours and have our dinner. Getting back to the hostel a few beers later, the breakfast room was full of jet-lagged, slightly chilly-looking students – 3 friendly Indian guys, a tall smiley chap from Tanzania and a girl from Madagascar. I had to bite my tongue to not ask the Malagasy girl a thousand and one questions about her home country while she tried to eat her dinner. Next morning (my birthday) we all had breakfast together (along with the hostel manager from South Africa, and the assistant, who was actually from Jersey!!) – just being in a room eating my cereal chatting to such a diverse group of people about conservation and their home countries was oddly very inspiring. I had a big smile on my face before we’d even gone into the Park! Oh and in the hostel, as well as a shared living room, there was also a Journal Library! 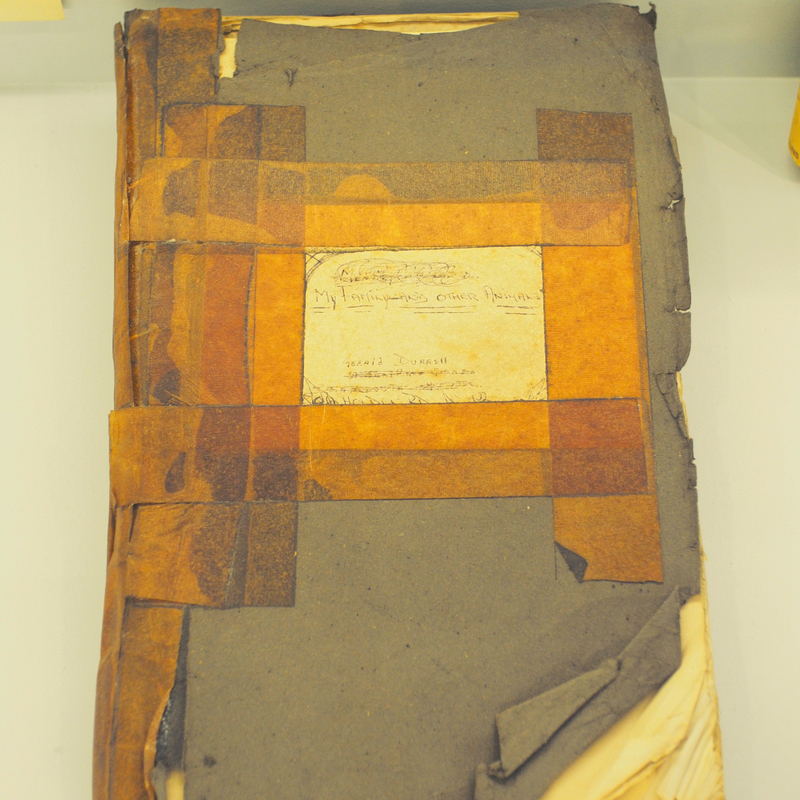 This was separate to the actual library in the Academy but had loads of past journals and papers on conservation, as well as all the past Durrell reports, magazines and presentations. I had a good nosey round. And then we finally went into the Park! I won’t list out all the animals, but here are a few photos. 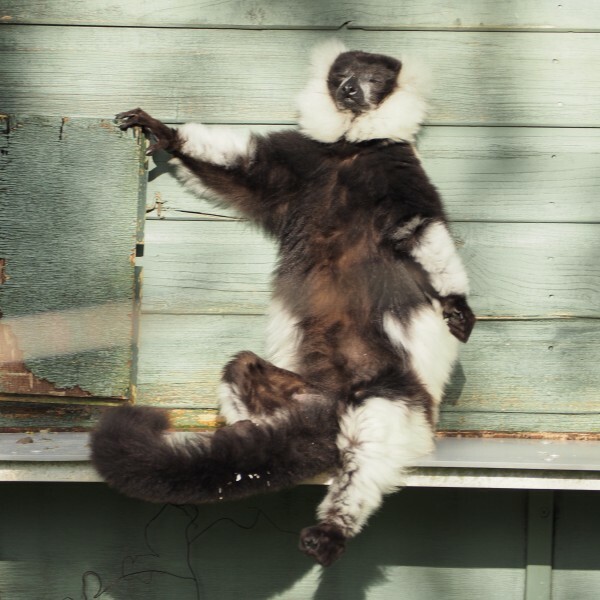 All the animals at Durrell are there because they are critically endangered and form part of Durrell’s Field Projects – they don’t have all the animals under the sun, just the ones they work with. So no cats, no elephants, no penguins… but a lot of monkeys, apes and lemurs, and a lot of birds and reptiles. 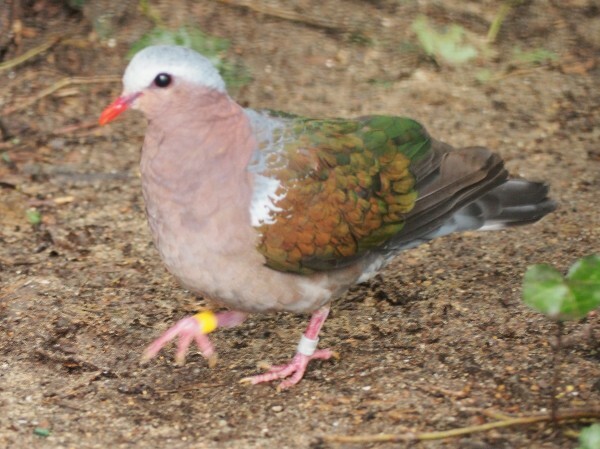 The Pink Pigeon of Mauritius may not look particularly exotic or exciting, but this is what Durrell does – finds animals on the brink of extinction and works to bring them back, regardless of whether people have heard of them or not. In 1980, there were only 16 individuals left in Mauritius. 16! Through captive breeding, releasing and then close management of them in the wild, Durrell has increased this number to 400, literally saving it from extinction. Durrell has two large ape species – the Sumatran Orangutan and the Western Lowland Mountain Gorilla. Obviously I was keen to see the orang-utans, who had a huge enclosure (both indoors and outdoors), an impressive male, 2 females, each with a playful youngster, and one of their older brothers, who had a sad story. He received brain damage during birth which affected his physical growth (he looks fine, just small) and also his mental growth. He is 18 and so the male has now rejected him from the group, as in the wild he would move on and find females to mate with, but because of his brain damage he will never be able to have his own family and needs constantly looking after. 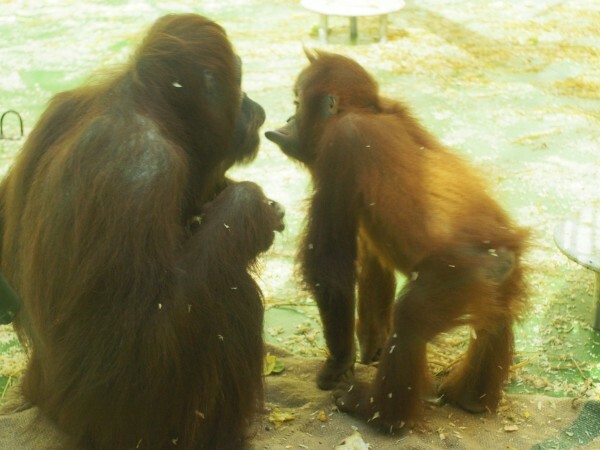 Until they can find a new home where he will get the right treatment, Durrell keep him in a separate enclosure – its next to the main one so he still has contact with his family through the mesh, but he can’t go into their main enclosure while the male is there. 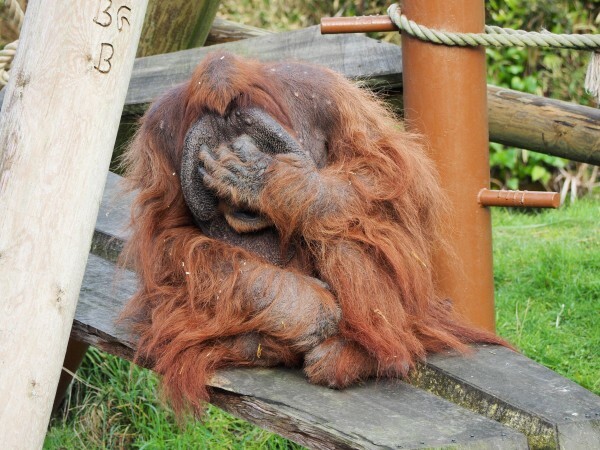 We also learnt (we went to the talk) that in the early days they used to have Bornean Orang-utans at Durrell too but at that time they didn’t realise they were separate species and so had them in the same enclosures, resulting in hybrid offspring! 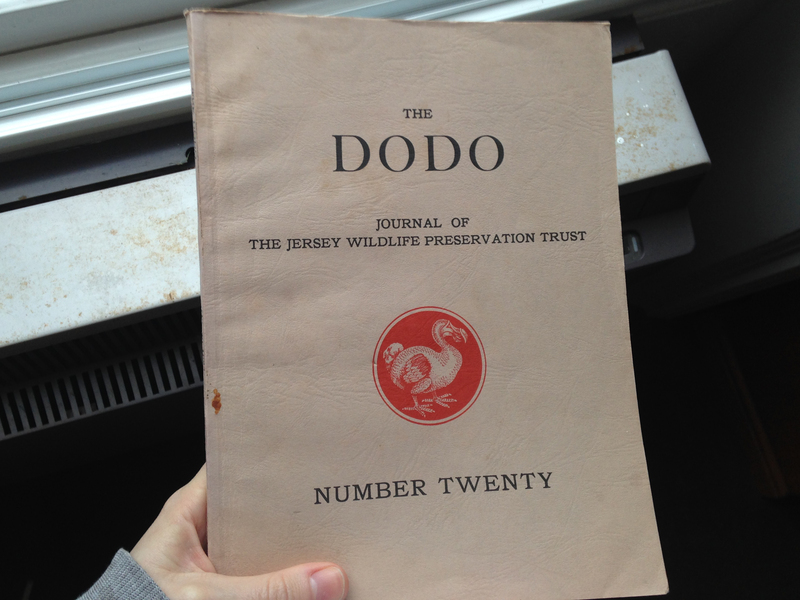 This wasn’t just at Durrell, it was common practice around the world. Once they realised they were different species, these offspring were kept from mating and so the hybrid died out. 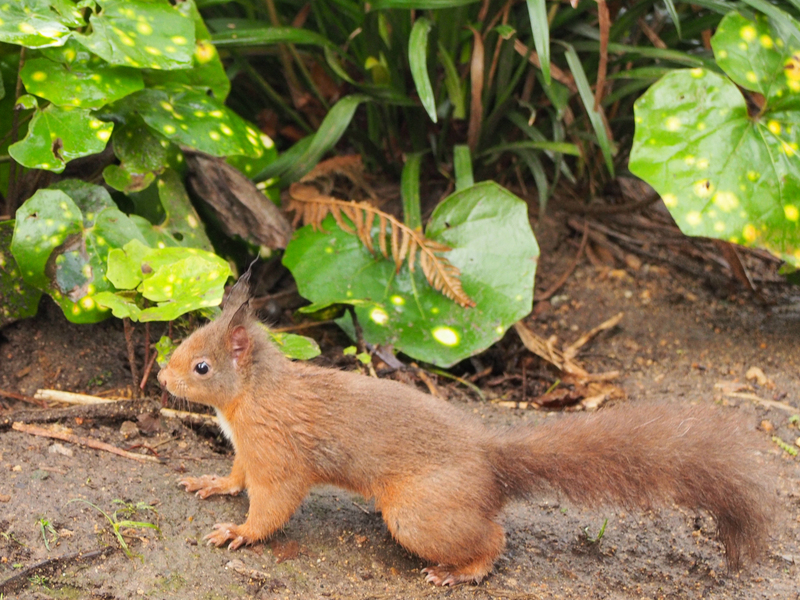 Talking of red fluffy mammals, Jersey hasn’t been invaded by grey squirrels! As with my last visit to Durrell a few years ago, one of my top highlights was spending some time with the Aye-ayes. 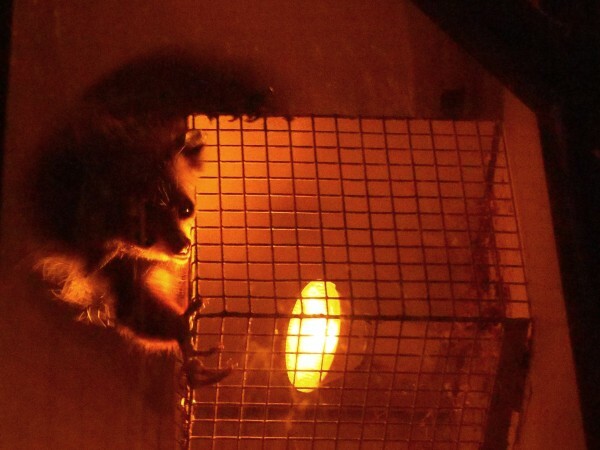 Incredible nocturnal lemurs (hence the dark photo by the only lamp in the room! ), aye-ayes are believed to be an omen of death in Madagascar, one reason why they are so endangered (as well as the usual habitat loss). They have weirdly beautiful faces with large googly eyes, a massive bushy tail (the same size as the rest of his body) and these weird spider-like hands with long twigy fingers, one of which is particulalry long and used to dig grubs out of holes in trees. This guy was really activity, running around his enclosure the whole time we were there. Every so often you would get a flash of his eyes up close, or see the silhouette of his alien-looking hands, he was just captivating. 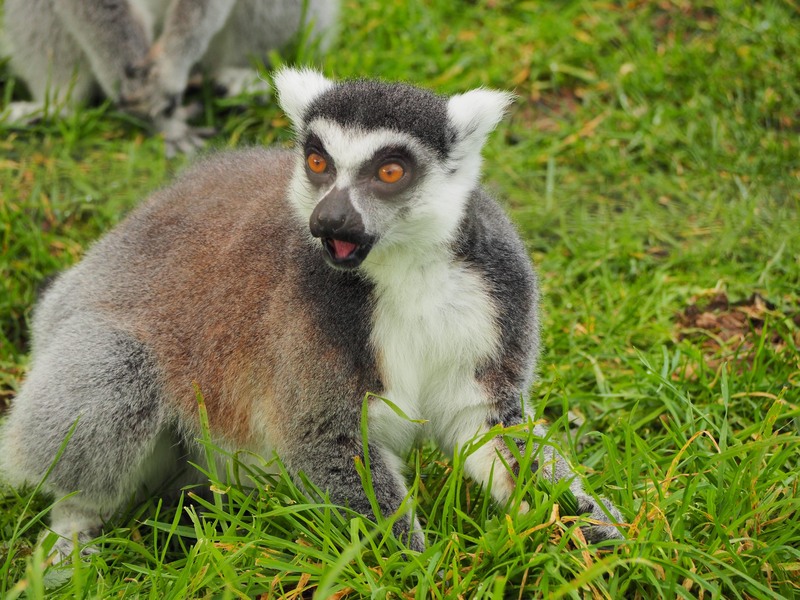 Durrell has a breeding programme of 6 aye-ayes, and works closely with the Malagasy government to ensure the future of these amazing animals. The bat cave was interesting – they had two species of bat, the Livingstone Fruit bat and Rodrigues bats. But it was the cave itself that was interesting, relatively new it had been built entirely from eco or repurposed materials. The walls were made from hundreds of old car tyres which had been filled with mud plaster to insulate – the cave was really warm but only on very cold days do they heat it, the insulation and glass roof do all the work. All the wood had been repurposed from the old visitor centre and the windows were made from glass bottles. On the Saturday they were running Vet Scene Investigation, where you could learn what it was like to be a zoo vet. It was super fun (and very geeky) – you pick an animal when you go in and get given the case notes with descriptions of its symptoms and general health. Then on the relevant table were 3 lines of enquiry to work through to find out what might be wrong with the animal. We started with a chough called Brian who was seen to be coughing and sneezing and not eating – at the table we looked at an x-ray, a photo of some unusual behaviour and a microscope slide of his blood sample. With some helpful photo reference, we worked out that there were some pathogens in the blood that were symptoms of an illness called syngamus, which also related to the unusual behaviour in the photo. This meant the vet could give Brian some antibiotics and all would be well! Sunday, and the sun was out! I was very excited by this, as were all the foreign students at breakfast (who the day before had been wrapped up in pretty much all the clothes they’d brought with them) and the black and white ruffed lemurs, spotted here catching some rays. So many more of the animals were in their outside enclosures and generally being more active now that the rain had stopped. The howler monkeys were sitting in their play area (see the guy below), the sulawesi crested macaques were going nuts swinging around on their ropes, all the birds were hopping and skipping about (below the monkey is a bali starling). 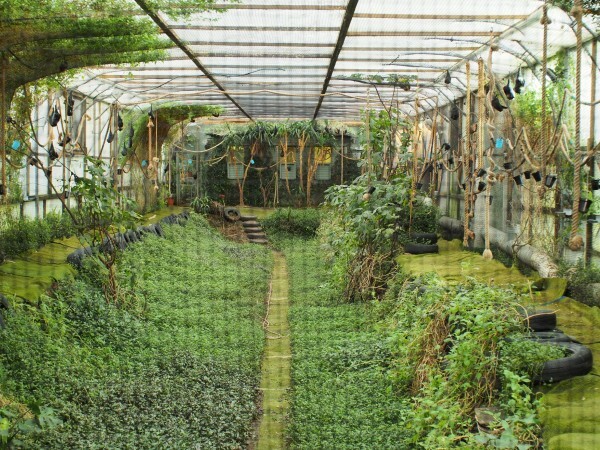 The gorillas literally hadn’t moved though – they had a huge outdoor enclosure but were all lolling around inside in their hammocks. Even the gentle bamboo lemurs were out! They had a very cool enclosure, hidden away in the Madagascar wetlands area, which felt very natural with a stream and lots of little ponds. In fact, their was a bird hide to sit and watch native birds so its obviously a place animals naturally chose to visit. 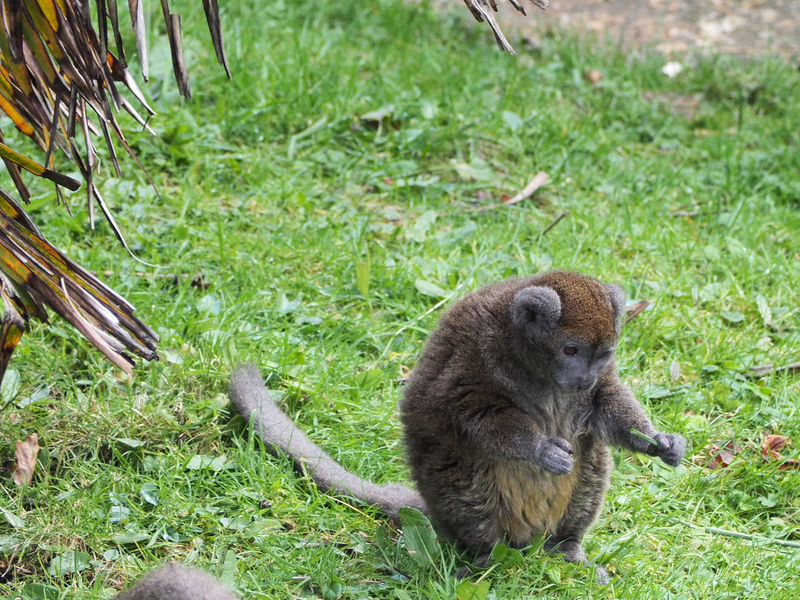 The bamboo lemurs had a big area (considering their small territory size), which included part of the stream and all the wetland plants. They had just come out of their little wooden home and were grabbing handfuls of grass to munch on. 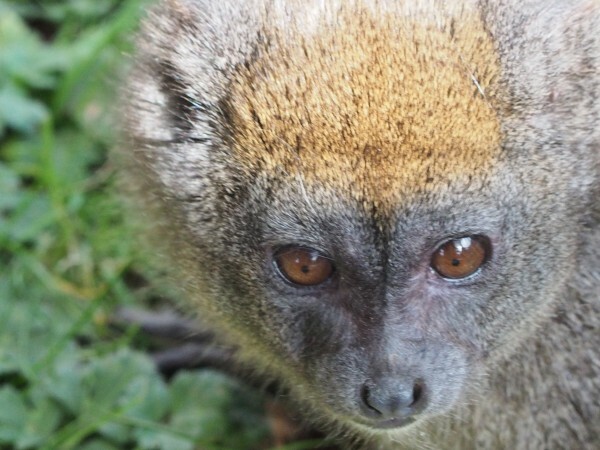 The gentle bamboo lemur is incredibly endangered in the wild – they live in the reed beds next to Lac Alaotra but the lake is disappearing as people cut down rainforest to grow their crops and in doing so the land is getting washed away and the lake is silting up, destroying all the reed beds. Malagasy people are generally very poor and they are only clearing land they need to feed themselves, but this inability to think longer term is making the situation worse for themselves, with increased flash flooding and less land suitable for agriculture. There was a really good exhibition about Gerald Durrell, his entire life and the conservation work going on today. Here is the first draft manuscript of My Family and Other Animals! This was the last piece of the exhibition, not a great photo but hopefully you can make out the diagram. It demonstrates the amazing affect Durrell Wildlife Conservation Trust is having on endangered animals, its nice to see a conservation graph going up not down! 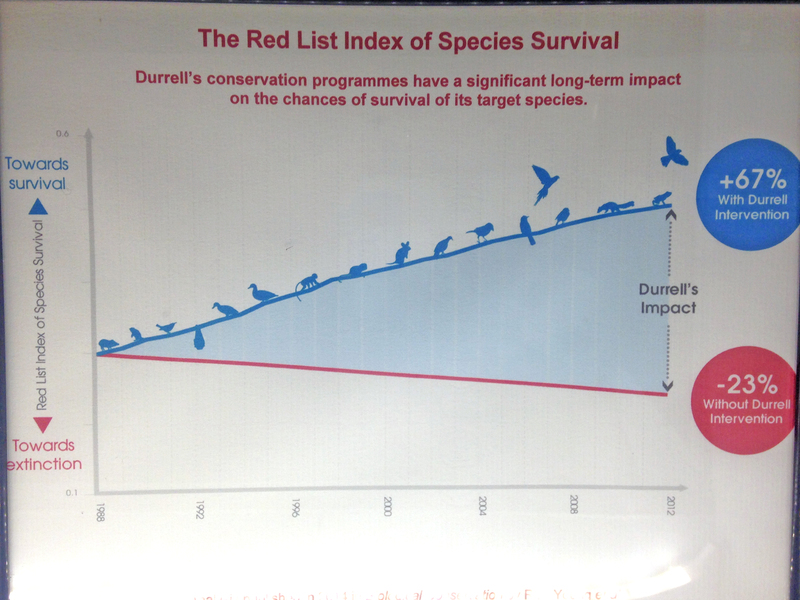 You can read a lot more about the positive and quantifiable affects Durrell is having on their Durrell Index website. 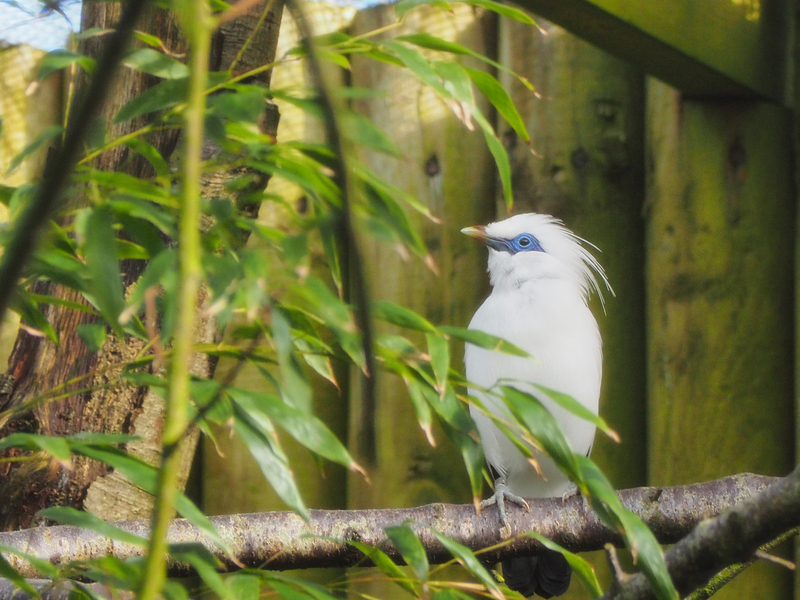 So theres a quick summary of our trip to Durrell Wildlife Park! Staying at the hostel made it feel even more special, plus it was super easy to go to the park, I would definitely recommend it to anyone who wants to go visit.